A lot of you have emailed asking what I think about Prosper.com. Before I cover them, I want to introduce you to my friend Premal Shah, who’s the president of Kiva, a website that lets you make microfinance loans to entrepreneurs in the developing world. He was one of the early guys at Paypal and has had some great experience with microfinance, and now he’s building a great way to help entrepreneurs around the world using microloans. This is a white-hot field in the world of social entrepreneurship. Here is a smart guy with lots of education, experience, and opportunities. Yet instead of staying at a high-paying job, he’s taken the insecurity of working on something he’s really passionate about. “But Ramit,” you might say, “he can leave his job because he’s probably made lots of money in the past.” Maybe, maybe not. But do you get the risk-taking attitude once you’re rich? Or does it sometimes actually go the opposite direction? Maybe success comes after risk-taking, not the other way around. He talks about social return, something we’ve only skimmed on this site. But in my own work in microfinance and with the Omidyar Network, I’ve become a big adherent of the idea that there’s more to ROI than just money. The fancy, smart guys working on Kiva face the same challenges that you do with your blog, project, or whatever. They’re trying to figure out how to spread the word, build a better site, avoid the chicken-and-egg problem, and encourage their visitors to do something useful. Whether you’re a 1-man shop or a fancy-pants company, the problems are often eerily similar. I love, love, love his answers to my questions about barriers. He’s looking for volunteers. If you’re interested in getting involved in working with great people to help low-income entrepreneurs around the world, check out the site, send me an email, and I’ll introduce you to Premal. Kiva.org is a new website that allows individuals to make small loans to low-income entrepreneurs in the developing world (microfinance). In this way, people like you can help provide affordable working capital for the world’s poor — money to buy a sewing machine, livestock, etc. — empowering them to start a business and earn their way out of poverty. The usual loan terms are 12 months and over the course of your loan, you’ll receive periodic repayments which you can then re-invest in another entrepreneur or withdraw. In addition, you receive real business updates on the entrepreneur you’ve sponsored. So far, we’ve had a 100% repayment rate and we’re expecting at least a 96% repayment rate over time. We think of Kiva as facilitating a kind of ‘grassroots capitalism’ — people here in the U.S. lending – not donating – a small amount to low income entrepreneurs in the developing world. For the low income entrepreneur, small amounts like $25 or $100 can provide the working capital needed to explode their small business growth, create a sustainable livelihood and enable them to repay you as an investment partner. How is this different than Prosper.com? Prosper.com lets you lend to people in the U.S., with the intention of making a financial return. Kiva.org lets you lend to people in the developing world, with no intention of making a financial return – just the return of your principal. It’s like spotting your friend $25 — there’s usually no expectation of interest. However, there is a large *social* return with Kiva.org. For example, if you help finance a $100 irrigation pump for a low income Ugandan farmer, this farmer could increase her annual income from $120 a year to $800 a year. This increase helps create a sustainable livelihood for her family — and allows her to repay your loan. Later this year, we’ll allow you to earn interest like Prosper.com — it will likely be between 1% – 5% and will vary based on the entrepreneur on the site. We suspect that lenders will weigh interest rate, risk and social impact between different entrepreneurs on the site – and pick accordingly. What’s your role at Kiva? I serve as President of Kiva.org and together with the co-founder and CEO, Matt Flannery, we co-lead the organization. Well, I guess I’m sort of impressed. How’d you get started doing this? When I was in college, I learned about microfinance — the impact of small loans to the working poor — and I got pretty excited about it. But once I entered the world of work, I got really busy and just didn’t have time to do anything about it. After about 5 years at PayPal, I was given the chance to take a sabbatical. I decided to go to India for a few months and work in microfinance. What bummed me out was that microfinance is such a great tool to alleviate poverty and that there is a shortage of capital — but that there is no way for the average guy in the U.S. to invest in microfinance. So, while I was in India, I posted up a loan solicitation on eBay for a low income women doing small crafts in India. The eBay listing got taken down because it was a violation of eBay policy to solicit investments on eBay. At the same time, my friend Matt and his wife Jessica started Kiva.org and I eventually left PayPal to help them get it started. What were the biggest barriers to getting it started? 1) Listening to too many people before we built the website — it’s better to just get started and push the idea as far as you can on your own — and then, once you hit real road blocks, seek the advice of others to solve real problems. 2) We were worried about the regulatory hurdles — is it ok to allow Americans to make loans to the working poor abroad. We spoke with the SEC and I think that after they saw the spirit behind what we were trying to do, they encouraged us to move forward. What about now–what are the biggest barriers to success? Getting the word out. Kiva is like an eBay for microfinance. We have to make sure the that the supply and demand on the platform are in balance. We launched 9 months ago. In the beginning, we had too many lenders — because of early pick up in the press (BBC, CNN, Wall Street Journal) and not enough 3rd world businesses available to sponsor on the site. Our site consistently ran out of ‘inventory’ — it was embarrassing. We solved this problem by inviting more non profit organizations internationally to post up local businesses — we’ve grown from 1 country to 13 countries in the last few months. Now we need to get more lenders to the site to absorb new waves of ‘inventory’ that’s being posted on the site. So we’re turning our attention again to getting the word out here in the U.S.
We have 8 full time staff (all volunteers, but still full time) and at least a dozen part timers. Craigslist is less than 20 employees. We think that we should one day scale our volume and revenue stream to cover a full time paid staff of 10 in about 3 – 5 years. How did you publicize it at the very beginning? What about now? Kiva is alive because of the blogosphere — we didn’t have a big marketing budget so we put out a press release when we first launched publicly 10 months ago and 1 blog picked us up right away. Then 10, then 100, then 500 including the world’s top blog in terms of traffic — Daily Kos. If someone were interested in doing something entrepreneurial–maybe starting their own business–what lessons could they take away from (1) Kiva and (2) your own business experience? 1) Find a partner you trust and someone who complements you on things you are not necessarily good at. 2) Just get started — don’t keep researching endlessly. Test and learn. 3) One of my favorite quotes is “Nothing works unless you do” — there’s no substitute for just working hard on a sustained basis to will your idea to be. We don’t have any money, but we’re hoping to raise about $1.5 million to build out a paid staff. If you’re interested in volunteering to help us get the word out about Kiva.org — we could use the help! If you’re interested in learning more, check out Kiva.org. To be featured as a Friday Entrepreneur, check out the meager guidelines. This is frickin’ awesome. Seriously. I’m going to have to integrate this into my personal finance plans. One point is unclear from this interview and from the Kiva site: Is Kiva a non-profit? If not, how is it making money, and how does this affect the transactions? Well, how would kiva.org be comparable to prosper.com, it is just nonsense at all. That’s awesome, I funded two business owners. Is it possible to do something like this for the poor of the U.S. There are areas of the Appalachian mountains, and the inner cities with families that are in extreme poverty even with a low paying job. These working homeless can’t get their families out of a car or shelter since their isn’t enough housing to accept them at that income level. I volunteer at a homeless shelter in the inner city. Low skilled jobs here, such as restaurant work or cleaning, require spanish or being bilingual and there are no free spanish classes here. Maybe they could start a service business of some kind that would make enough to be accepted by housing. I wish there were some kind of low cost transportation system to move these families to the areas of the country where there are low skilled jobs that could accept them which would let them be able to afford housing. There are economic refugees in the U.S. from the U.S.
winter: Unfortunately for someone poor in the US, the cost of living is so much higher than in a developing nation. $25 in Ugandan is a lot different than $25 here. i am so excited to read about kiva.org! i was just in peru and we were brainstorming about ways to help squatters begin to have an income other than begging and selling candy. a $200 micro loan could help someone set up a bakery that would benefit the whole community. 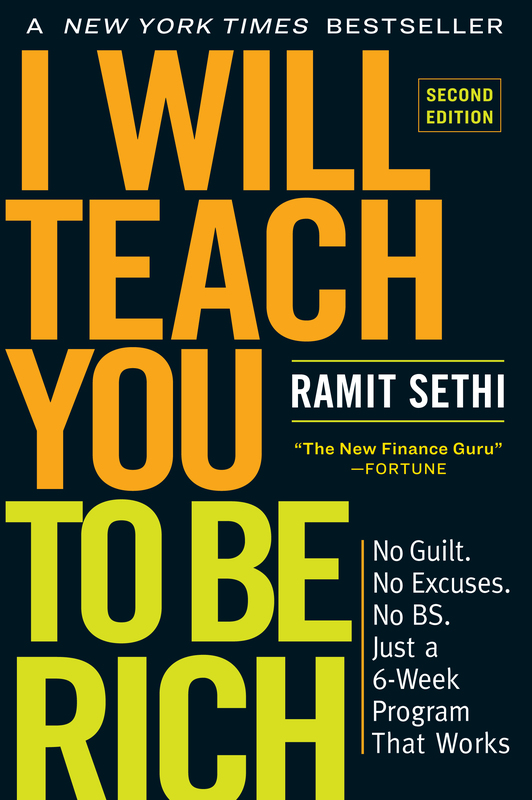 Thanks for posting about this right now, Ramit! You can’t knock the spirit, but how is this a smart financial move worthy of your blog. If currently you earn NO interest then there is NO money to be made. This has NOTHING to do with prosper. Shouldn’t this be posted under a charity post. I mean under the best circumstances you only get your money back. Steffy: This blog is about being rich, which encompasses more than just making money. As I mentioned above, there’s more to ROI (return on investment) than just money–a social return is very valuable to some people. I think Kiva.org is a perfect post for this site (and I’m happy some of the other commenters think so). This is a smart financial move because as the local economies in other countries grow and prosper, this in turn helps create a middle class which wants American goods, or goods from American companies. What is happening in China and India can also be done in these other countries if the tools for growth are put into place. A bakery or a market may not sound like much, but they can create a large amount of wealth for a family and the other people that live near it. The problem is these people don’t have access to capital. The banking system isn’t there, and you can’t call up Citibank and say “Hey, can I borrow $1,000?”. This presents a major problem of how do these local people gain the capital to grow their businesses if nobody will lend it to them, not because they’re horribly risky ventures, but because the capital just isn’t there. How many businesses in America pay cash up front for a new machine or building? Almost none. A lot have a line of credit, credit cards, leases, etc. This isn’t an option in Nigeria or Peru or wherever (small loans are extremely difficult to get, especially if you have no idea how to get one or that you even can). Note, that a middle class doesn’t solve all of a nation’s problems, but if people have money to spend, they’re going to want goods and services that come from companies we work for, or businesses that we start. As they prosper, we prosper, and that is why this is a smart financial move. I believe in good karma. Help others and one day you will find yourself with people that are willing to help you…Kiva.org is a great way to do this. i read somewhere that people who receive micro-loans are VERY good about paying them back. their default rate is lower than in north america. This is a lot like John Mackey (CEO Whole Foods) and his endorsement of Grameen Bank. Very cool! This is Premal from Kiva.org. I first want to thank everyone for the comments and for checking out the site. The number of loans made on our site has increased by 60% because of iwillteachyoutoberich.com readers. Thanks to everyone in this community who values a social return on investment, and thanks again Ramit for featuring Kiva.org. I am very interested in microfinance and generally speaking, social entrepreneurship and enterprise as well. I just recently loaned money to someone on Kiva.org and think its an incredible idea. I have been telling many of my friends as well as my economics and finance professors, which have since told their colleagues about the site and I expect a few of them to try it out. If there is any way that I can help let me know. I’d be very ready and willing. I’m forming a student organization at my school (Bentley) around the theme of globalization and in the future I’d like to have the leverage and power to help create and guide curriculum at the school – hopefully we can start a class on microfinance and the economics of the “bottom of the pyramid”. Anyway, great site…great people….just plain great! Keep it up guys! In regards to your comment, Ramit, about social return I could not agree more. There is an increasing amount of people who have begun to assign VALUE to these social returns – like those at StartingBloc (a great organization for college and MBA students). Capital has traditionally been defined as property, plant, and equipment, etc. however there is a new paradigm that I’d argue is a more accurate and beneficial lens to look at the world through. After all, the most important capital is HUMAN capital. I believe in investing with people who share a birthday with a former president. Does anybody @Kiva.org share Chester A. Arthur’s birthday of October 5? I have read how KIVA could be integrated into school programs (social geography), or as monetary gift ideas, but another side to consider is the potential to apply the KIVA way through sales and marketing of traditional goods, services and advertising. For example, I allocate a portion of my revenues from selling a financial newsletter through KIVA. The buyer gets the benefit of the newsletter – so he/she benefits from the product I sell + the social return of having some of that payment routed to an entrepeneur. I may get a sale I otherwise would not have got by ensuring part of the money goes to KIVA. I also get the social benefit from the deal, and if business is good I get the added leverage to add to the system and recycle loan repayments. My business is small, but since I started doing this in April I have been able to contribute to 10 KIVA programs. I am very pleased to be a part of this program and would encourage other web sale driven goods/services/advertising to do likewise. It doesn’t have to be a lot to get started. This was an excellent interview and very appropriate for the topic. Wealth – whether ours or our worlds is a relevant topic, as the disparity is the cause of many of it’s ills. I’m going to point my readers to this interview. I was blown away when I saw the show on Frontline. I want to be a part of it. If anyone from Kiva reads this, please get in touch with me. I work for free. I tried the site but it is down due to overload. I might just have to drive to the site to get involved. An entrepreneurial approach is so much smarter than just giving money away. But I wonder about this supply issue. There are only so many entrepreneurs and even fewer good ones. So, as Kiva grows the quality of its loans is necessarily going to get lower. In the future, identifying good projects/investments is where the real work lies. Thinking out loud, I wonder if the solution is a blend of real capitalism and Kiva approaches – where you allow lenders to make profits so that they are willing to undertake riskier investments. After all, the more money that flows in to Kiva the higher the default rates will be. So might as well use the market’s natural profit mechanism to serve as an incentive to fund those lower quality/higher risk loans. There seems to be a lot of people (including myself) interested in volunteering our time to help Kiva, or other microfinance organizations. I see an attraction to Kiva in its being web-based, location may not be a restricting factor. What opportunities are there for those that dont have a background in this type of work, but are still strongly movitaved to help. This is sanity. You hold a powerful context. You can actually make money right now making loans on kiva. Since you use a credit card just use rewards card. Right now I am using Citibank Cashreturns card so I am making 5% on my Kiva loans.